Al Park has quickly emerged as a rising talent on the national comedy scene. 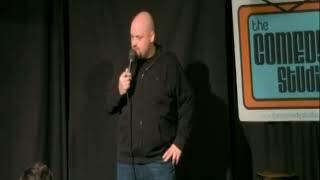 He recently won the Boston Comedy Festival and Cleveland Comedy Festival competitions, and was a finalist in the prestigious Seattle International Comedy Competition. Named Boston’s Best Comedian of 2016 by Improper Bostonian magazine, Park mixes sharp observation and cultural satire with plenty of self-deprecation for a unique, authentic comic voice. His standup can be heard on Audible.com and seen on NBC’s Seeso.com website, and he made his television debut on FOX TV’s “Laughs” in 2017.